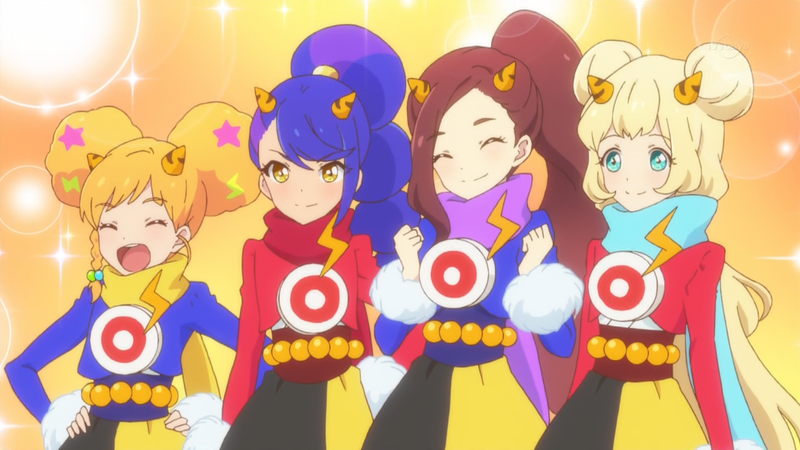 They kind of even look like superheroes, what with the lightning bolts and long scarves. Sometimes, the only way to resolve your insecurities is by getting a little uncomfortable. Or at least embarrass the people watching a little bit. But getting out of your comfort zone like that is also one way to inspire others. I want a Lun Lun body too! Yes, this was exactly the pairing and lesson I had no idea I so desperately wanted. It had just fantastic writing and setup and intricately wove Aria and Mahiru’s necessary growth events together. This was a truly satisfying and fulfilling episode of Stars. 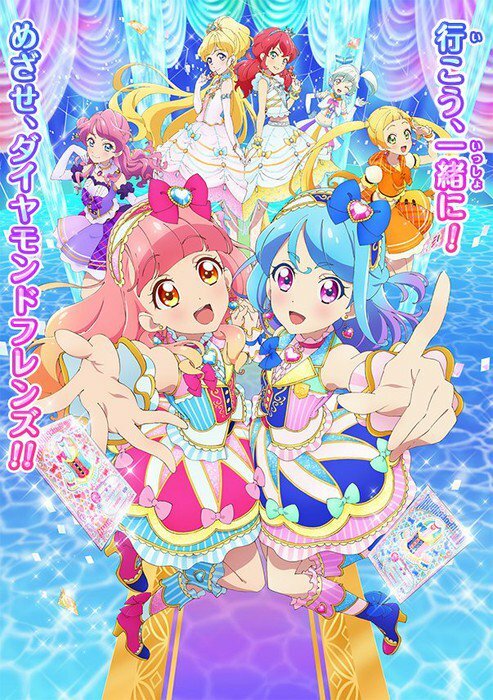 Also, I can’t believe I forgot to mention this, but as most of you are probably aware, starting this April a new series of Aikatsu, Aikatsu Friends, will be airing. 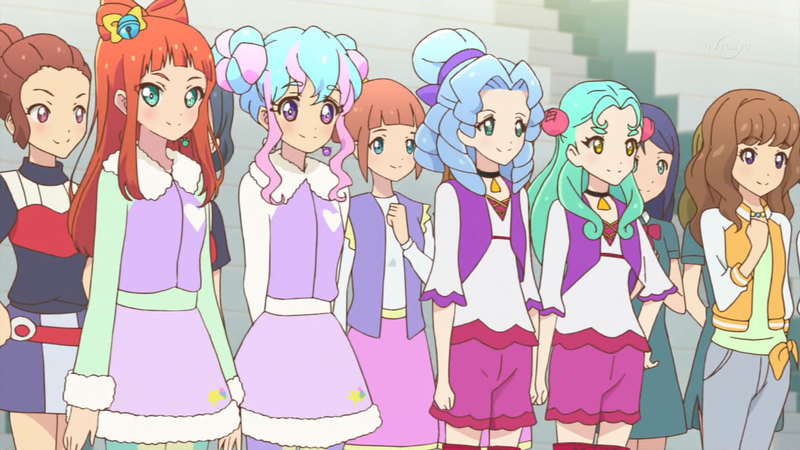 The theme this time around is pair units known as Friends, and our main characters will be aiming to become the top unit, Diamond Friends. We’ll see you there. I guess New Zealand sheep are pink. 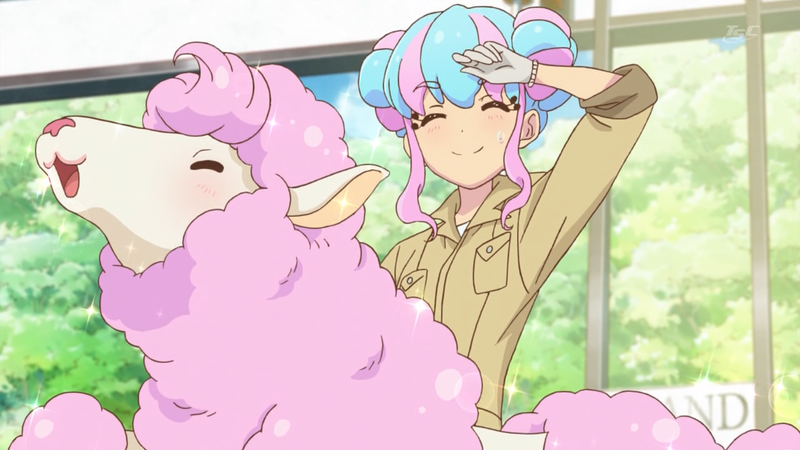 Which makes Kirara half-sheep? I really dislike the word triathlon. Doesn’t it sound like it should be “triathalon”? What can I say, it’s basically a recap episode. 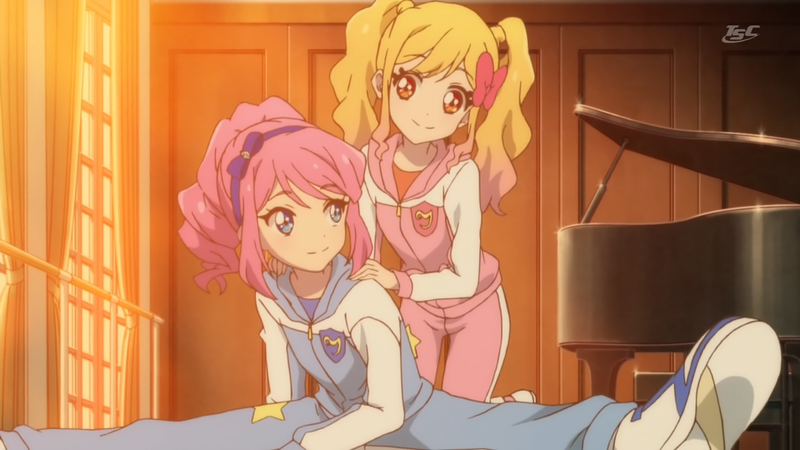 But in true Aikatsu fashion, it does have some really important things in it too, so be sure to watch. 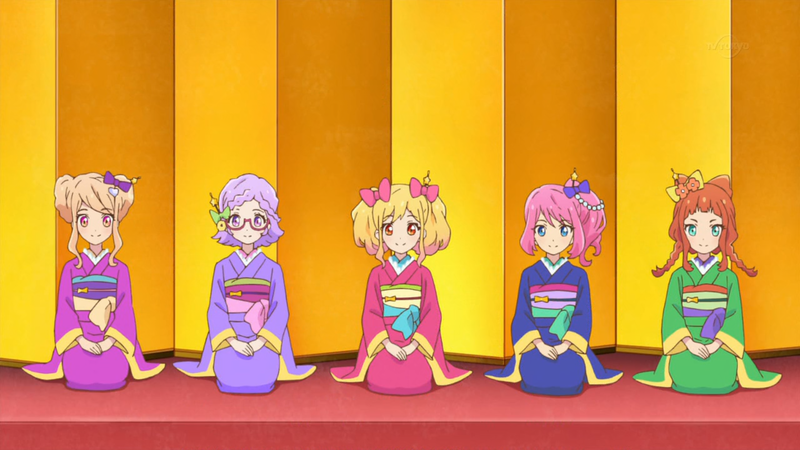 What better way can there be to start off a new year with an Aikatsu drama episode? 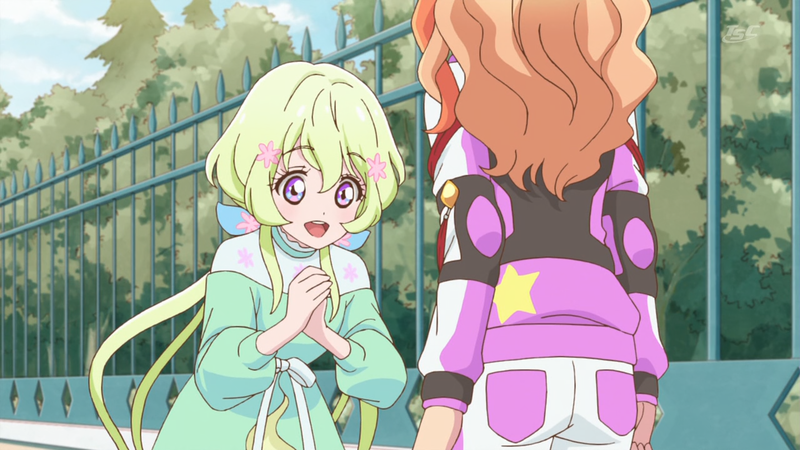 It was full of little references like who took over the role of certain events repeated in last year’s episode, who did what in the first-year talent show, little notes certain idols made in their scripts for past shows, and more. A couple other things also bear mentioning. For one, “hanetsuki” is referenced. 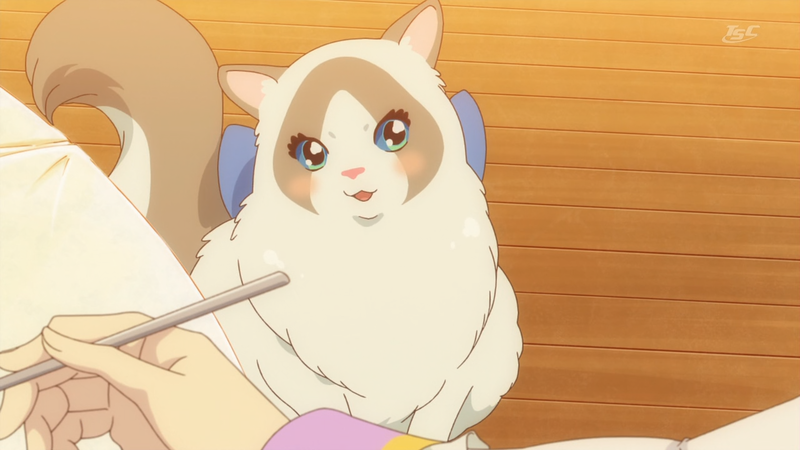 If you’re familiar with other anime that have a New Year episode, it’s that paddle badminton game where whoever drops the shuttlecock gets something drawn on their face with a brush. There’s also a bit of a kanji joke in the middle, but if you look at the signs the meaning should become clear. I do have one slight disappointment with the episode near the end, although it definitely didn’t detract from the quality. I wanted to give you all an early present to say thank you, so we worked hard to get this out today. 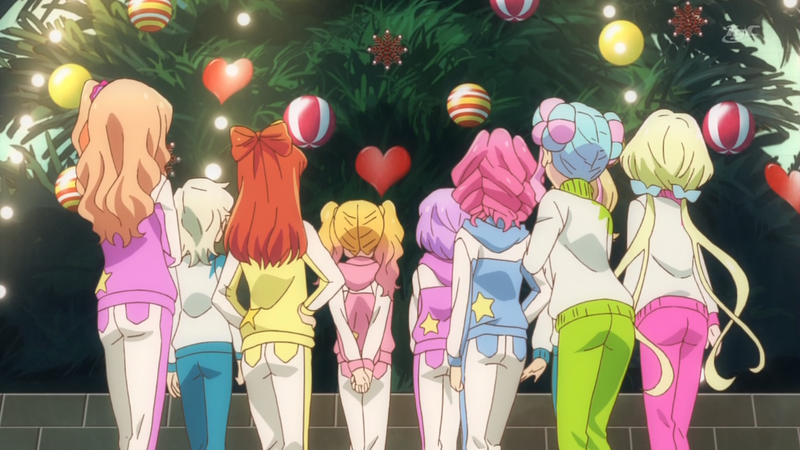 This year’s Christmas episode was just so full of happiness, of unexpected happenings, of joy and mirth. I personally felt that this was a gift for me and my favorite idol; I hope you’re all able to feel the same. And so once again, Merry Christmas! There will be no new episode next week, so we’ll see you after the New Year. I wish everyone happy and healthy holidays. What a completely ordinary and standard Laura episode. I was not surprised at all about anything. I’m sure looking forward to Christmas next week. Man, this week’s performance. It was a good episode showing growth. But next episode looks to be quite intense. This contest was clearly designed to push pairs of girls to the dark side. It even influenced innocent younger girls who watched it. 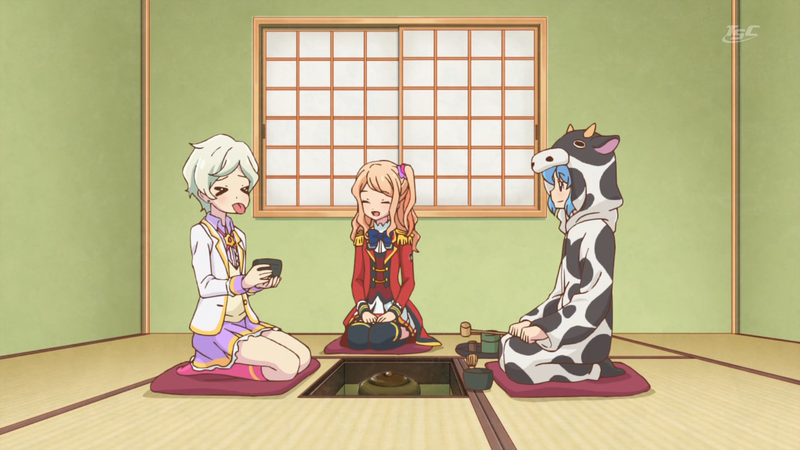 Anyway, in the middle there are all these events which I didn’t want to typeset, so I’ll list them here: Idol Rock Awards, Self-produce Dance Vocal Audition, Finding Rookie Idols! 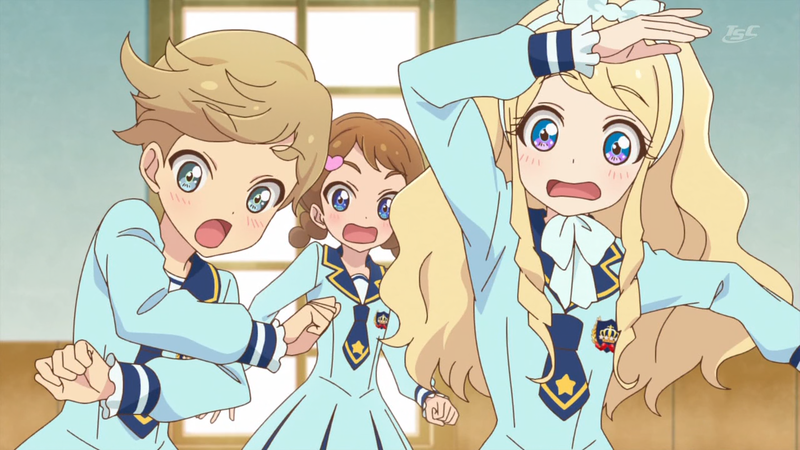 Audition, Cinderella Stage Audition, Dancing Star Audition, World’s Greatest Sweets Idol Selection. There was also some interesting info revealed about the endgame of this season; let’s see how it turns out. Hey everyone, thanks for being patient despite the delay. I hope those of you who had off last week enjoyed the holiday. Only a few things to say about this episode since I’m sure you’re all more excited to watch it than read this. General reminder that takoyaki is made out of octopus for one. For two, they somehow got the ending to Romeo and Juliet backwards—your memory of it is just fine. So yep, enjoy the subs, and see you tomorrow for the next episode.